Being in business for over 30 years, one strength that has been a common thread in our success is our commitment to relationships and healthy partnerships—whether it is with customers, suppliers, or our community. One such partnership, which we view as a business partnership as much as a community-building endeavor, is with MassMEP. MassMEP (Manufacturing Extension Partnership) operates an ecosystem supporting the growth of manufacturing in Massachusetts and helps manufacturers grow by uncovering the elements of every manufacturer’s business that can create opportunities for efficiencies and growth. Among the many resources they provide, MassMEP offers workshops that are designed to solve operational issues, such as substandard quality, late delivery, inefficiency, and low profitability with organizational management solutions. We recently participated in two workshops that reside under MassMEP’s “Operational Excellence” programs. The two workshops we participated in addressed lean methodologies, with the other workshop titled, “Team Involvement Problem Solving.” Twenty Fourstar team members participated in this training event, which was funded by a grant. Our collective goal was to add in-depth knowledge, expertise, and business acumen to our entire team, enabling us to position ourselves for continued success as part of the “next-generation” manufacturing community. The specifics of this skill-building workshop focused on training participants how to effectively use a structured, team-based approach as an ongoing improvement opportunity that builds on processes Fourstar already has in place. The training focused on the concepts and application of the TIPS methodology: team involvement problem solving. 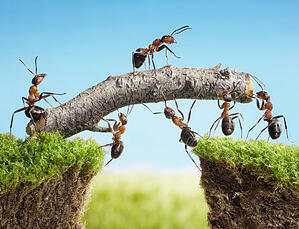 Team-building exercises challenges participants to apply the TIPS methodology and to sharpen their “teaming” skills. Part of the training required participants to solve a real problem in the organization. The criteria for choosing the problem was that the root cause was unknown and the cost/risk to the business was high. We applied the TIPS methodology to address—and resolve—the issue.